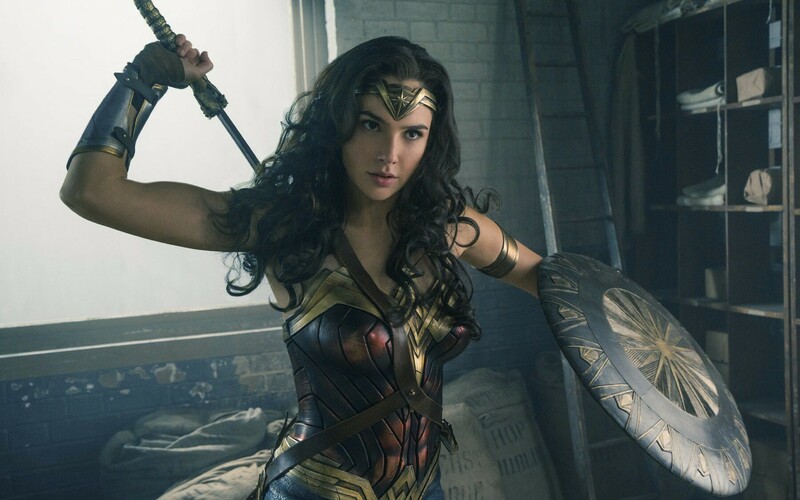 Wonder Woman, the newest instalment in the divisive DC Cinematic Universe, is a well meaning yet shallow and fairly underwhelming adventure plagued by some major issues. Telling the origin story of Diana Prince, daughter of Queen Hippolyta of the island of Themyscira, and better known to audiences as Wonder Woman, we follow her through childhood and adulthood until the sudden appearance of Capt. Steve Trevor on their hidden island paradise. What follows is a fish-out-of-water story that reminds us of the humour and tone of DC’s rival studio Marvel before settling in the fiery forge of WW1. Let’s get the positives out of the way: the brightest part of the film is Chris Pine as Steve Trevor, the cynical pilot and love interest who works as Diana’s guide to the world outside of Themyscira. Pine elevates the humorous dialogue to actually feel real, as if he really thought of it then and there, rather than just reading some gag from the script like in other comic book movies. Adding to this set-up is Lucy Davis, bringing a warmth to the dreary London scenes in the form of Trevor’s secretary Etta Candy. However, the film has several head-scratching flaws. Wonder Woman features some of the worst digital visual effects in a major studio picture that I’ve seen in years. At multiple points in the film, there’s shots that simply look unfinished. As if they didn’t have enough time to properly correct and render some of the CG assets or composites. It makes for a difficult time watching considering the fact that most of the devolves into CG fight scenes towards the end. The oddest aspect of the film is in its setting: WW1. We see Diana marching head-on into the fray, kicking asses left, right and centre. It leaves a distaste however upon reflection when we realise that the German military in WW1 have none of the historical context of evil that the Nazis had in WW2, and instead we’re invited to relish in the awesome spectacle of a demigod obliterating moral men just doing their job. To confuse the point even more, later on we’re treated to scenes of said soldiers revealing that they’re merely scared young men, themselves victim of the manipulations of the prime villain in the film. Makes for an odd stance for the film to take. Makes me sort of sympathise with Lex Luthor. Furthermore on the WW1 point, the leaders of the German forces are essentially Nazis anyway. From the long flowing coats adorned with skulls and eagles to the presence of a mad scientist character, it seems like this film desperately wanted to be set in WW2. I mean, even Wonder Woman’s actual comic debut in 1941 concerned her taking part in WW2. Perhaps the producers wanted to avoid comparisons to Marvel’s Captain America: The First Avenger (2011)? I do have faith, however, that the legacy this film will leave is in fact the true gift. From the trust and hiring of more women in the industry to helm massive projects such as this to encouraging DC to veer away from strictly adhering to Zach Snyder’s epic philosophical tone and aesthetic, I have good faith that this film will trail blaze and inspire Hollywood far into the future. Tagged film review, kit ramsay, wonder woman. Bookmark the permalink.